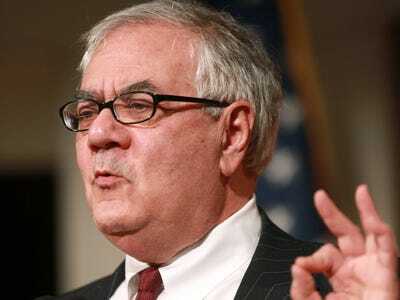 Rep. Barney Frank has sent shudders through the financial world by hinting that the guarantee of Fannie (FNM) and Freddie (FRE) isn’t as ironclad as had been presumed, according to the Washington Post and Bloomberg, which broke the news. The statements by Frank bring back into question just who stands behind the two mortgage giants, and to what extent that support can be trusted. With 5 trillion in their own debt, Fannie and Freddie coming on balance sheet would have the impact of nearly doubling U.S. government debt. Separately, Fannie Mae has moved aggressively in the past two days to pull their money out of foreign banks. There is no indication that this is related to Frank’s comments, but the impact is to suggest the firm is beginning the slow slide back to independence.